It's a pretty standard interpretation that they are hats. Mushroom Go sure isn't the first. 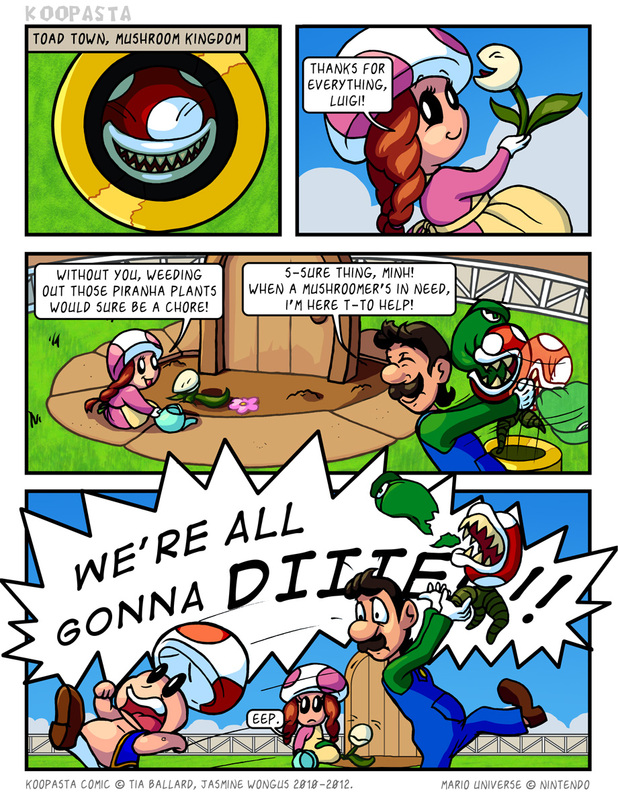 Ya know, considering I read 3 mario based comics now, I know so little of the mario world. I'm looking forward to seeing the koopalings this chapter. Worst wake-up call ever, little shroom! OH HI WEEGEE!